I went to Philadelphia last weekend to speak on Jane Austen and ambition at a JASNA Eastern Pennsylvania meeting, and my favourite part of the trip was the lively discussion after my talk about whether Austen saw ambition as a vice or a virtue. It was wonderful to discuss this controversial question with so many smart people who know Austen’s novels and letters so well. The conversation inspired me to consider what I want to do next with this topic. Blog posts? A new essay on ambition, focusing on a specific novel? (Or perhaps, someday, a book on Austen and ambition?) I’ll have to spend some more time thinking about these questions. For now, if you’d like to know more about my talk, you might be interested in reading what Deborah Yaffe (author of Among the Janeites) wrote on her blog about the event: “Austen, ambition and Emsley.” It was such fun to see Deborah and other JASNA friends both old and new, and to explore this exciting topic with them. I love how Mrs. Dashwood tells, rather than asks, Edward about his ambition. She’s trying to reassure him it’s all right that he lacks professional ambition. But in fact he has very high ambitions of a different kind. If Elizabeth had been ambitious about “marrying up,” she could have accepted Darcy’s first proposal. And then in Austen’s letters, the best line about ambition is “I wore my Aunt’s gown & handkercheif, & my hair was at least tidy, which was all my ambition” (20 November 1800). 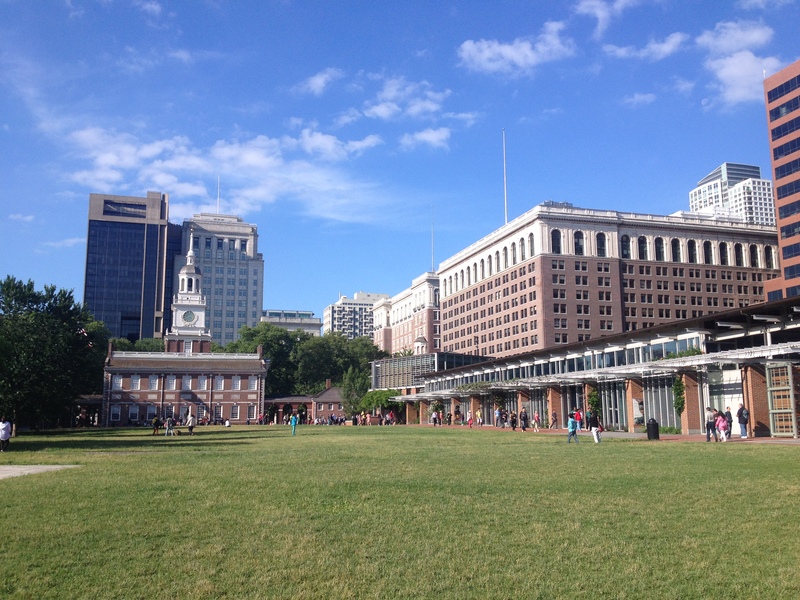 On my run on Sunday morning I stopped at Independence Hall to take a picture and to read about the Liberty Bell. 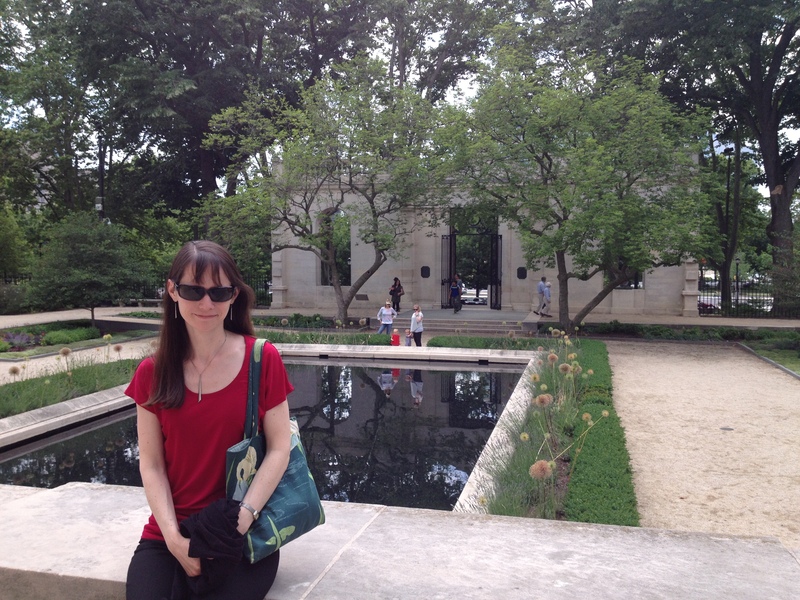 It was great to visit the Rodin Museum on Sunday. Thanks, Sarah — it was great to see you and hear your interesting talk! Good luck with the next steps. . . It was so kind of you to write about the talk, Deborah. It was a lovely surprise to see you there. I do wish I could be in the audience this coming Sunday to hear you talk about the Janeites. I think Jane Austen was intensely ambitious regarding her writing career, as befits one of the greatest authors in the history of literature. She knew she was the best writer in English since Shakespeare and Milton, so it truly was ambition “under good regulation” as she might have put it. I disagree with Deborah as to Henry Austen and James Edward Austen-Leigh having innocent motivation in presenting a false image of Jane to the public. They were intent on concealing her true nature, because there were way too many thinly veiled satirical allusions to real people in her novels, including the Prince Regent and several members of the Austen family. Thanks very much for commenting, Arnie. I agree with you — I think she was very ambitious. And I think she did have some idea of just how good her writing was. Yes, absolutely, she is right up there with Shakespeare and Milton. Thanks for your comments on the way her family represented her after her death. I’ll have to think more about that. You think they were intentionally misleading people, then. I am so glad you Agree about JA’s ambition! As for the intentional misleading of the world by James Edward A-L in particular, if you search in my blog for “JEAL” you’ll fibd more than a dozen posts about his numerous deceptions- Emily Auerbach identified several in a 2005 article but that was only the tip of an ugly iceberg- he was among other things trying to conceal that his iultimate inheritance from aunt Leigh Perrot was at the expense of the Austen women, and even exacerbated Jane’s soon to be fatal illness! What a tantalising glimpse into a fascinating subject! I really think you should write a book. In the meantime, I’ve been doing some thinking about the text you quote. Origin. Middle English: via Old French from Latin ambitio(n-), from ambire ‘go around (canvassing for votes)’. What does Mrs Dashwood mean, then? “Your wishes are all moderate,” she says. He says he wants to be happy like everybody else. But his desire doesn’t seem to be strong enough. So he wouldn’t be ambitious in either sense of the word. This becomes clearer when he discusses his choice of profession: “It has been, and is, and probably will always be a heavy misfortune to me, that I have had no necessary business to engage me, no profession to give me employment, or afford me any thing like independence. But unfortunately my own nicety, and the nicety of my friends, have made me what I am, an idle, helpless being …I always preferred the church, as I still do. But that was not smart enough for my family.” He’s refused to join the army, being too old for the Navy, and having “no inclination for the law.” How is he to achieve his dream of domesticity and a quiet private life, depending as he does on his mother, who has very different “ambitions” for him as we have been told in Chapter 3? She’s actually ambitious in the etymological sense, as she would want “to get him into Parliament” 🙂 It doesn’t help that he tends to fall in love with impecunious girls his family disapprove of … So, while it must have been a relief to hear that Mrs Dashwood doesn’t frown on his want of ambition in the second sense, he’s not any closer to attaining happiness. So, I’m inclined to conclude, rather tentatively, that: 1) we all want to be happy; 2) we may differ as to where happiness lies; 3) “grandeur” is not necessary but money matters; 4) neither wealth nor social prestige should constitute a person’s main goal in life. Monica, thank you very much for your thoughtful comments on this question. I really appreciate your contribution to the discussion! There are so many great examples of Austen characters talking about their ambitions. I do think I might need to write a book. I definitely need to expand the essay or write a second paper, perhaps this time more specifically on Persuasion, which, as you point out, offers a wonderful example in the career of Captain Wentworth. I found Samuel Johnson’s definition of the term very helpful: he distinguishes between ambition for preferment and ambition for excellence or greatness. I used that distinction when I talked about Edward. So much of this depends on how we, or Austen’s characters, define success. I am absolutely fascinated with this topic and will keep exploring it to figure out the connections among the terms ambition, success, happiness, and so on. I suppose we all have to figure out what it means to be happy. And I like the way you’ve brought “grandeur” into the conversation. Does one have to be grand to be successful? Who gets to decide what constitutes success? And what is “a competence”? fascinating conversation! The issue seems to come down to the definition of ‘ambition’. Can it be personal or must it be about ‘grandeur’ and accomplishment as the world acknowledges it? Questions I’ve been asking myself for a long time (and more so as my books do not find representation!). I am looking forward to one of your remarkably well thought-out projects, Sarah. Thank you, Leslie! It’s a complicated question, for sure. What does it mean to be “accomplished”? Does one get to decide for one’s self or will the world’s judgement get in the way? The different definitions of ambition continue to fascinate me and I can see this project getting bigger and bigger. (But how ambitious a project do I want to take on? I still have to figure that out.) Thanks for your interest in the conversation — and all best wishes for your own writing projects, too. Glad you enjoyed Philadelphia. I really like the Betsy Ross House tour there. The concept of ambition as a virtue or vice in Austen is an interesting one. I haven’t toured the Betsy Ross House yet and will add that to my list of things to do next time. Thanks! And thank you for your interest in this question about ambition in Austen’s novels. Thank you again Sarah for visiting Philadelphia and speaking with our region about Jane Austen and ambition. It was a provocative talk that captured – as you saw and heard – the imaginations of all of our members and guests in attendance. The energy around the topic suggests that you are on to something important (and perhaps even controversial!) Come visit us again. It was an extraordinary weekend and I enjoyed all the conversations immensely. Thank you again, Paul, for everything. I’d love to visit again. 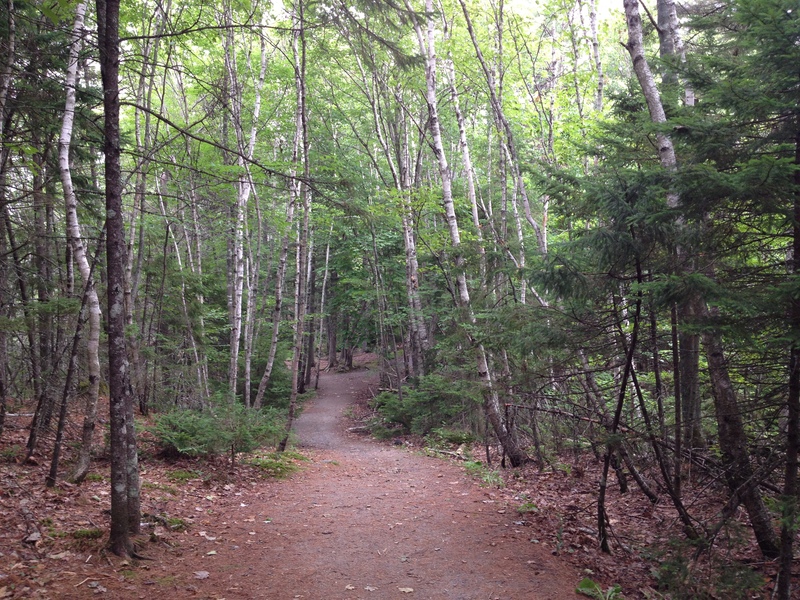 Now off to read your talk at Deborah Yaffe’s site! I love your examples — thanks, Sarah! The characters without ambition are interesting as well and I need to think more about how that works. I’ve been thinking about Catherine Morland…. Thanks for your interest in this project. I think Mary makes a very persuasive case. 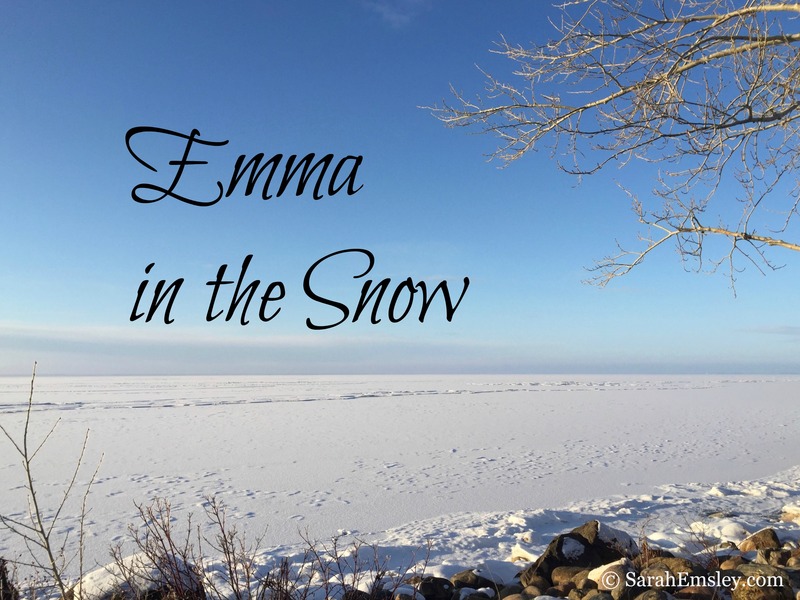 While the young Edmund Bertram may give no sign as of yet of turning into a Dr. Grant 20 years down the road, Mary, a shrewd judge of human nature, might have good reason to be concerned that the position will eventually shape the man in undesirable ways. “We are certain of some visitors tomorrow…On Thursday Mr. Lushington MP for Canterbury and Manager of the Lodge Hounds, dines here and stays the night…..I shall be glad to have our numbers a little reduced, and by the time you receive this we shall be only a family, though a large family, party. Mr. Lushington goes to-morrow. I love the elegantly scandalous conjunction of “I am rather in love with him” with “I dare say he is ambitious and insincere”, followed immediately by an assessment of his facial features, as if JA were a master sizing up a prospective new servant. Aren’t you reminded of Henry Crawford? Jane Austen was capable of the greatness of mind of being able to admire certain aspects of the personality of a gifted rake, even as she was wary of such men. Thanks for prompting me to take a closer look at this word in JA’s writings! 🙂 now I’m wondering whether Gilbert Blyth owes his first name to Gilbert of Gilbert and Sullivan. 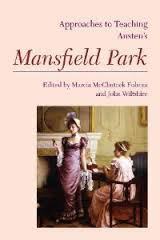 I’ll be blogging soon about Mr. Lushington – I see another Mansfield Park angle there.